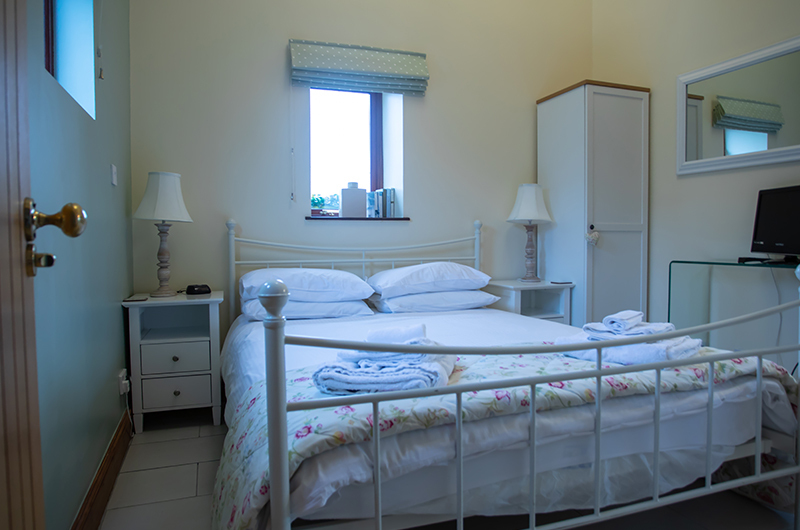 Each cottage is on one level and sleeps 4 . 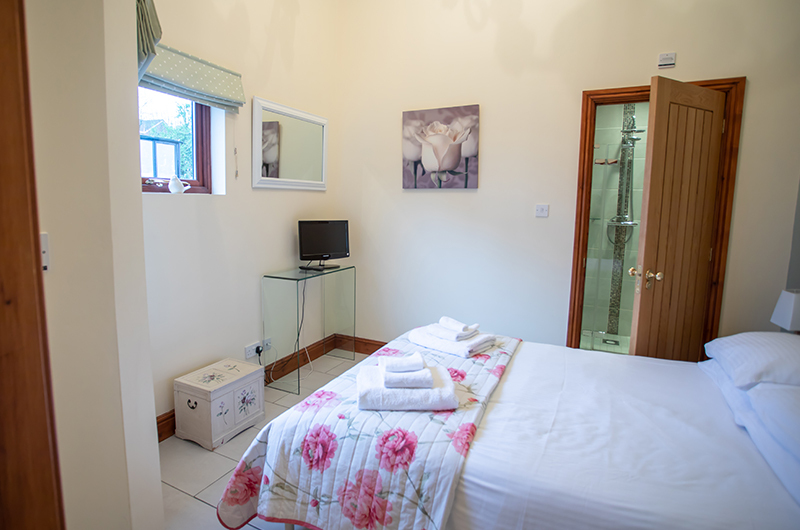 They comprise of; one King bedroom with en suite bathroom and one double bedroom with en suite shower room. Bedding, towels and hair dryers are provided. 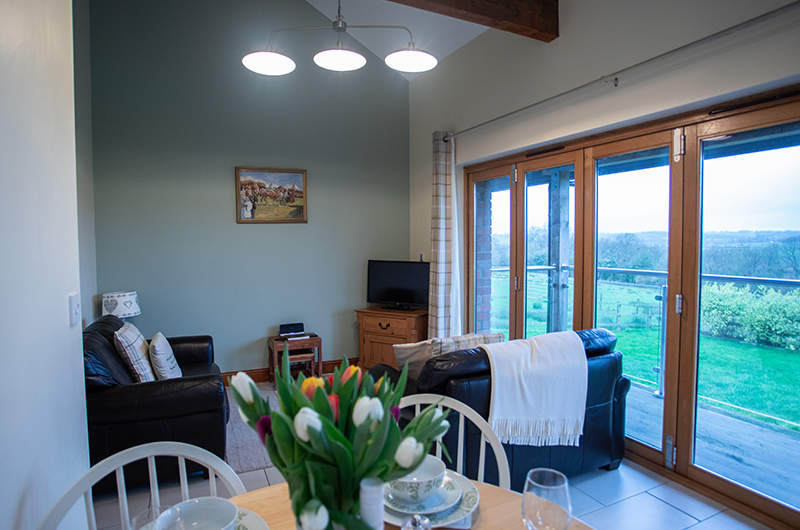 A light spacious open plan Kitchen ,dining and living area has bi-folding doors which lead onto a decked balcony and reveal a stunning view of the Dyffryn valley. 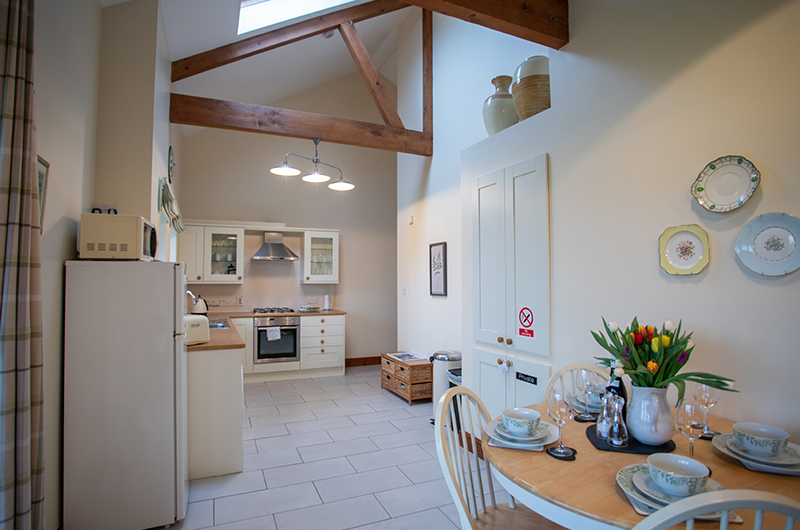 The fitted kitchen is fully equipped and includes electric oven with gas hob,dishwasher and washing machine, fridge freezer and microwave. The dining area has a table with seating for 4. The living area has two leather sofas seating 4. A television with integrated DVD player and games console. There is also a CD player with docking station and Wi fi is provided free. 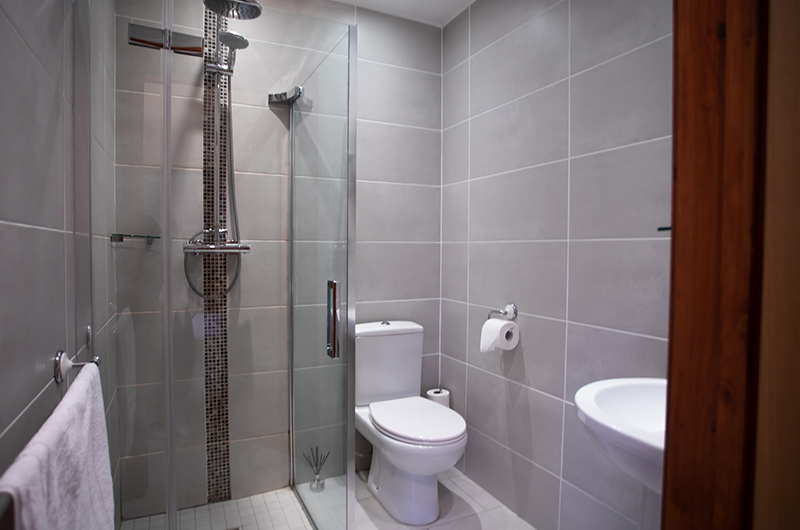 Tiled throughout with underfloor heating thermostatically controlled in each room for your comfort. We can provide a travel cot and high chair if required. There is a landline available at Kestrel View should you require it. There will be a small additional cost for this service. There is also an outside lawned area with picnic table and barbecue facility. A secure shed is provided enabling safe storage of any equipment required for a rural or activity holiday from walking , fishing, golfing or cycling. It also houses a tumble dryer and a rotary washing line for use when weather permits. There is off road parking facilities for two cars per cottage. The driveway is level and gravelled with sensor activated lighting. There is also a porchlight that can also be activated to remain on. As we reside in the farmhouse adjacent we will be here to welcome you and answer any questions you may have. Both cottages are non smoking and sadly no pets either. Assistance dogs are of course welcome. We do offer outside kennels if required.